Can you imagine throwing your child—just born to this world—into an outhouse toilet? Picture leaving the baby to die, with human waste caked on her little arms and legs. It seems unthinkable, but it happens. 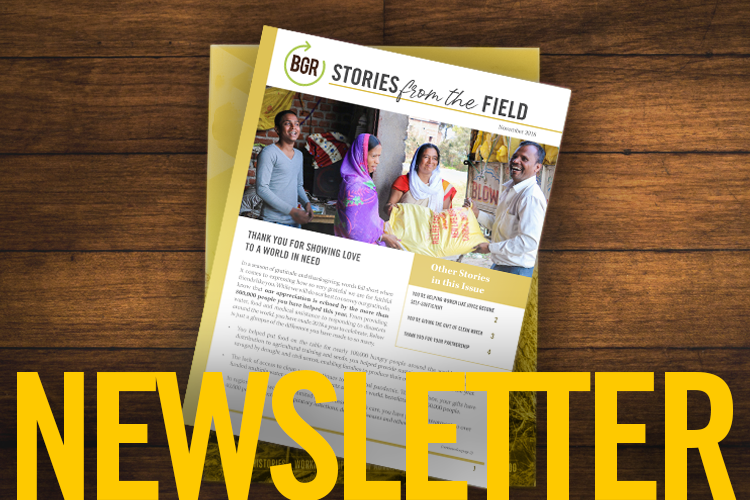 In fact, BGR helps support a home for abandoned babies that has seen four cases in which newborns were thrown into “pit latrines”—a type of toilet that collects feces through a hole in the ground. Koki was one of those babies, a premature infant who was thrown away as if she was human waste herself. Praise God a kind passerby found her and fished her out of the filth. She was taken to a local hospital, where she spent six weeks in an incubator—with little human contact—before she was sent to the baby home. She was finally safe, but that time without touch had already taken a toll. Koki was underweight and developmentally delayed when she finally made it into the arms of the home’s staff members. They had trouble coaxing even a smile from her. She progressed so slowly, some of the staff thought she wouldn’t thrive. But your gifts helped equip the home with a special space where occupational therapists can help individual infants reach set goals. In this room, Koki received regular, therapeutic massages and got plenty of one-on-one interaction with the staff. The home’s director sang to her and rocked her, just like any mother would. And slowly, Koki began to respond. Now, she’s developing better trunk control and can roll and sit on her own. She’s also reaching for toys and developing better hand-eye coordination. And, the singing has helped her start imitating speech. Day-by-day, Koki catches up to her biological age in physical and mental development. And, she grows emotionally attached to a staff of caregivers who pray she thrives. Thank you for helping to provide Koki with a safe place, where she can learn to sit and babble and grab new, exciting toys. Your generosity and compassion are giving her a chance in this world. If you feel led, please give again and brighten someone else’s life with the hope of Jesus Christ.